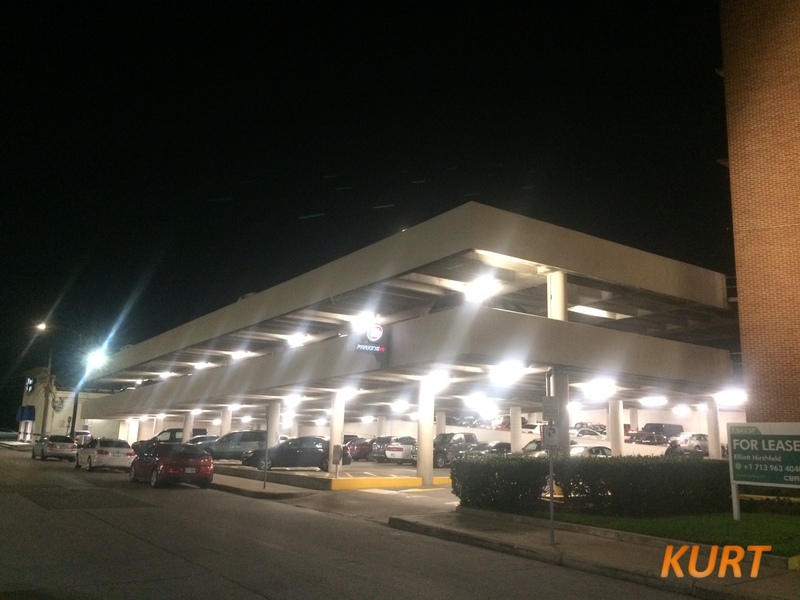 Kurt and team installed new-high output14 watt LED tubelights (no ballast required) at a parking garage off Kirby Dr. in Houston, TX. The original parking garage light fixtures contained 32 wattfluorescent tubes that required an electrical ballast to properly operate 24 hours, 7 days a week. This garage now enjoys quality illumination, increased safety, and reduced energy & maintenancecosts – all at a 1-year payback on investment!! !